Eighty-six-year-old Agarwal had begun his hunger strike on June 22 demanding government measures to save the Ganga. Environmental activists today said they would take the message of 'Save Ganga' crusader G D Agarwal to every nook and corner of the country. 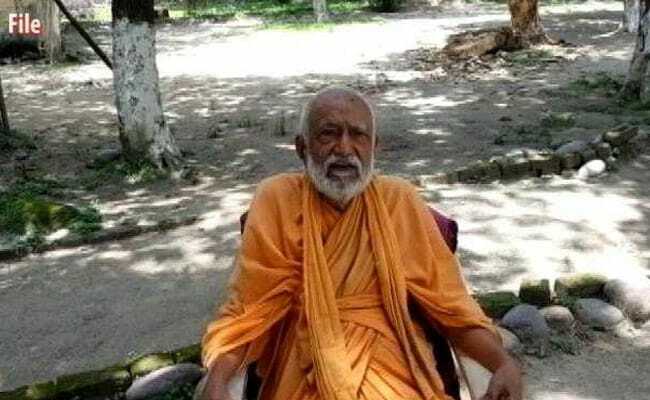 Eighty-six-year-old Agarwal died at a Rishikesh hospital on October 11, 111 days after he began a fast for a pollution-free Ganga. Agarwal had begun his hunger strike on June 22 demanding government measures to save the Ganga. Jal Jan Jodo Abhiyan, national convenor Sanjay Singh said as a first step they would organise a march from Delhi to Banaras to carry the message of 'Save Ganga'. "We will also talk about the dreams of Agarwal in every capital city of the country so that his message reaches each and every person," he said. Another activist Rajendra Singh said they would also carry the message of cleaning Ganga to those attending the Kumbh festival next year. He contradicted the Centre's claims that most of the demands of Agarwal were agreed upon. "None of the demands made by us were met. The government's claims are false," Singh hit back. Union Water Resources and Ganga River Rejuvenation Minister Nitin Gadkari had last week announced that the government had accepted almost all the demands of the late environmentalist. "We have accepted almost all his demands (on cleaning of the Ganga). One demand was to ensure environmental flow and we have come out with a notification," he had said. G D Agarwal, also known as Swami Gyanswaroop Sanand in his later years, was a professor at the Indian Institute of Technology-Kanpur and had served on the Central Pollution Control Board. He was protesting against hydroelectric projects on the Ganga's tributaries and demanded a law to protect the river. Earlier, he had rejected a plea from Haridwar lawmaker Ramesh Pokhriyal Nishank to end his fast.